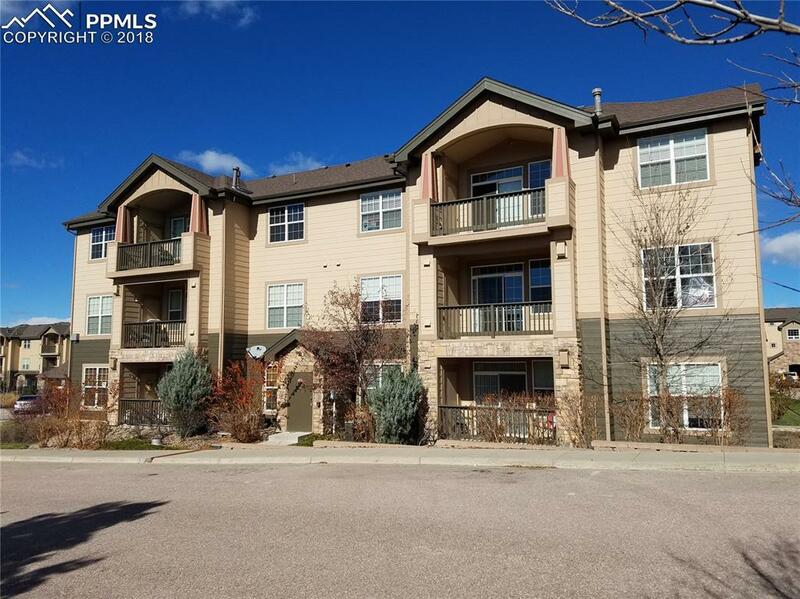 6315 Andersen Mill Heights #300, Colorado Springs, CO 80923 (#8221263) :: Fisk Team, RE/MAX Properties, Inc.
Lovely, light-filled spacious end-unit condo with fabulous mountain views in convenient N/E location! Move-in ready, open floor plan with high vaulting & 9 ft ceilings. Kitchen has stainless steel appliances, pantry, upgraded cabinets & a breakfast bar open to the great room with cozy gas fireplace. Private master suite is complete with 4 piece master bath, walk-in closet. Corner unit offers more privacy, extra windows. Large balcony/deck has an extra storage closet. Words fail-you just have to see the whole package! You will love the gorgeous neighborhood within walking distance of 2 schools, Cottonwood Park with water park for kids, hiking trails, YMCA, roller-blade court, baseball and other sports fields. Walk also to coffee shop, Walgreens and more. Easily access to the Powers Entertainment Corridor, Academy Boulevard, I-25, and much more. The second bedroom is isolated from the master and could be a second master bedroom. It has it's own walk-in closet. These units sell fast in this popular complex-please hurry!